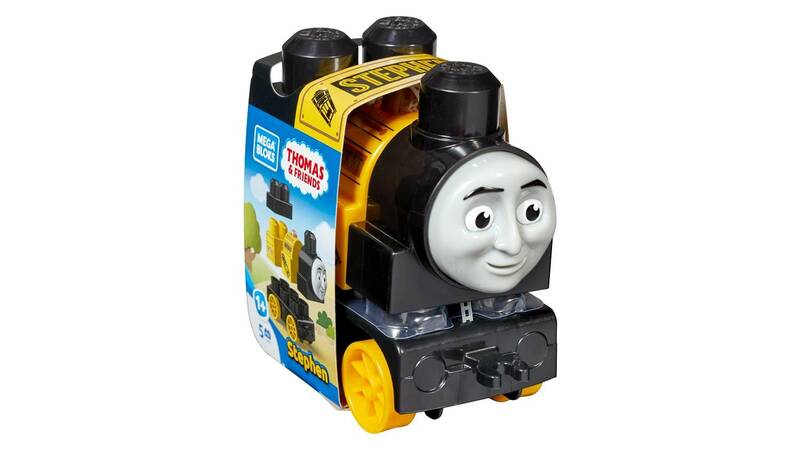 Build big railway adventures with an all-new Stephen made just for little engineers! 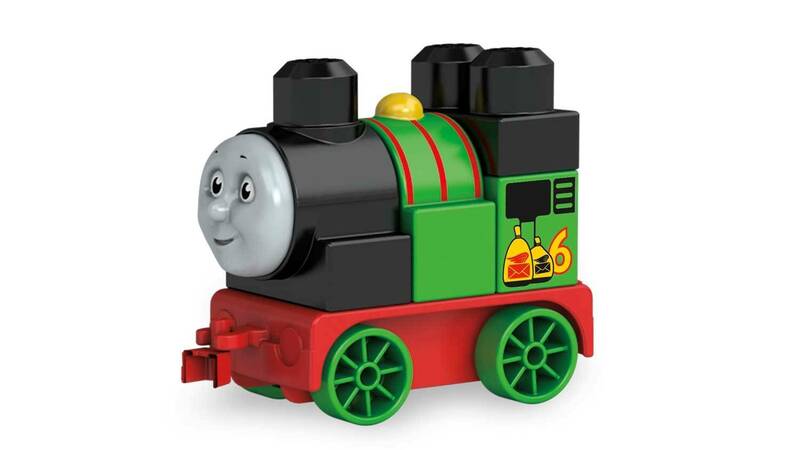 It’s Stephen like you’ve never seen him before! 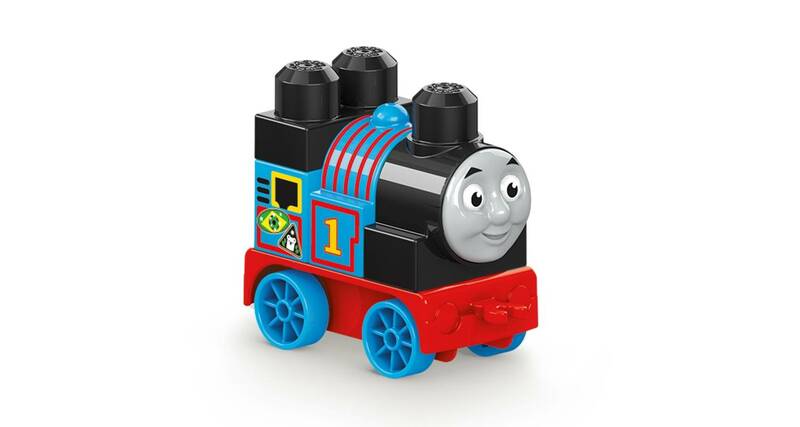 Made just for the littlest Thomas fans, now you can build your favorite jolly old steam engine when you use the big blocks and rolling wheelbase to bring Stephen to life. 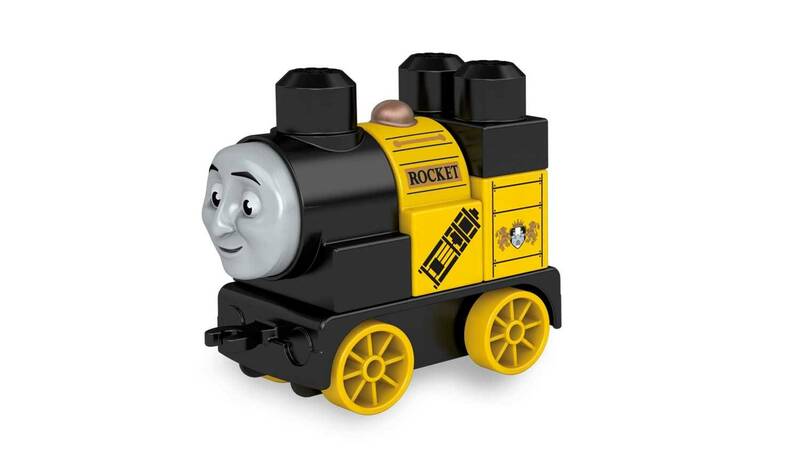 Nicknamed “the Rocket” for his great speed, children can send him puffing around the Island of Sodor and take him out for a day of exciting adventure. 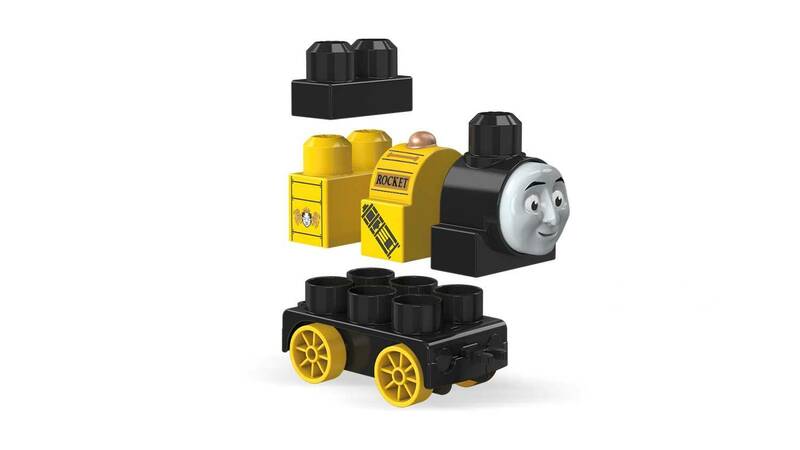 Or connect him with other buildable engines for even more friendly fun on the railway! 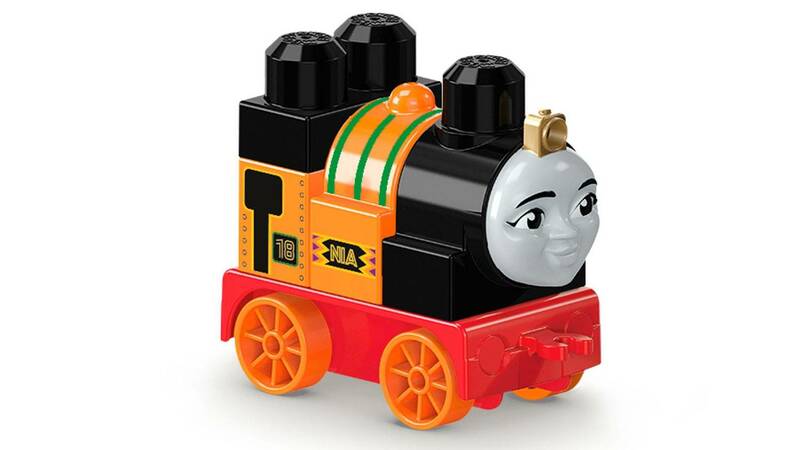 • Combine with other Thomas & Friends™ construction toys by Mega Bloks® and build them up! 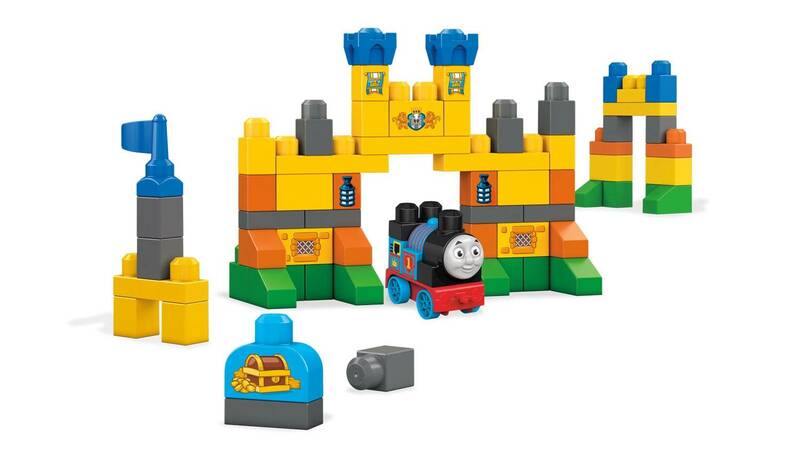 • Collect them all and build big adventures on the Island of Sodor!